Discussion in 'PlayStation Vita General Discussion' started by Yuuki, Jan 15, 2014. Pre-release Firmware with PSP AES-Keys. Provided only with Shin Kamaitachi no Yoru: 11 Hitome no Suspect. US First Edition Bundle release firmware. Addresses freezing issues with certain games fixed. The 1.51 bug where the 3G/Wi-Fi SKU would not recognize a SIM card has been fixed. An application powered by Google Maps has been added. In [near], information about players is now displayed on the [Discoveries] screen. Users can now delete backup files in [Content Manager]. Users can now record video under the [Photos] application. The PS button will now flash blue while the battery is charging. In [Settings], the position where [Flight Mode] appears has been changed. You can now report inappropriate messages in [Group Messaging] and inappropriate comments about an activity. “PlayStation Network account” has been renamed to “Sony Entertainment Network account”. Improves certain aspects of the system software. [Notification Alert] has been added to [Settings], allowing users to toggle alerts on and off. [After 10 Minutes] has been added to time options under [Power Save Settings]. Caps Lock is now supported in the On Screen Keyboard. An arrow icon will now display when PS Vita finds new activities in the LiveArea. Addition of installation progress bar for downloaded games and DLC. minis with a pre-set expiry date (such as those obtained via PlayStation Plus) now load correctly. Fixes security issues with two PSP games that allowed users to run unauthorized content on the device through an exploit. The [System Music] setting in [Settings] > [Sound and Display] now affects background music in [PS Store], [near], the Sign-Up screens, and the Home menu. When searching for location data, users now have the option to [Retry] and [Cancel] when a failure occurs. A direct link to [PS Store] is made available for new applications that users may discover on [near]. Users can now update data at any time within [near], provided they are within the same location. Resolves an issue with the camera functionality when playing Dream Club Zero Portable. A savegame exploit within Super Collapse 3 has been patched, disallowing the usage of VHBL via the game. Resolves a compatibility issue with the PlayStation Portable game Conception: Ore no Kodomo wo Undekure! Resolves a compatibility issue with the PS Vita demo for Escape Plan. Users can now control the home screen, as well as some applications like [Music] and [Video], with the PS Vita system's buttons. Notification settings under [Sound & Display Settings] have been moved to their own [Notification Settings] menu. The items under [Date & Time] > [Date & Time Settings] have been changed. A Japanese keyboard has been added. Memory cards are now locked to PSN accounts, to prevent users from switching between accounts. The system will refuse to accept a memory card locked to another account unless the memory card is reformatted. The layout of category lists have been improved in [Photos], [Music], and [Videos]. The [Notification Center] has been redesigned. Importing content from a PC or PlayStation 3 has been improved. The [Help] feature of the LiveArea has been improved. Icons for some menu items have been changed. Users can now report some errors to Sony Computer Entertainment. Background colors have been changed. Added [Cross-Controller] feature to allow the PS Vita system to interact as a secondary controller with a PlayStation 3 system. Users can now play select PSOne Classics from the PlayStation Store. Users can now map more combinations of PSP system buttons to the PS Vita right analog stick when playing PSP games or minis. In addition, users can also map a PSP system button to each of the four corners of the PS Vita system touch screen. [Import Saved Data] has been added to the LiveArea screen. This will only be shown for games that support this feature. The MPO format can now be viewed on the PS Vita system. Additionally, it is now possible to transfer MPO files using a PlayStation 3 or PC using Content Manager. 3D and multi-angle viewing are not supported. Playlists in iTunes (10.6.3 or later), M3U, and M3U8 formats are now supported in [Music]. Playlists can also be transferred from a PS3 system. Playback speed control and repeat play have been added to [Video]. When moving the progress bar during video playback, it now shows the image of the specified location in the video. A thumbnail for videos will now be generated automatically when there is no thumbnail information available. Users can now copy photos or videos to a PC or PS3 while a photo or video is displayed. Users can now delete multiple friend requests simultaneously. [near] can now gather information of surrounding Wi-Fi access points without an Internet connection and will update location data based on this information at a later time. The LiveArea screen for [near] has been improved and now shows lifetime statistics. There have been layout improvements made to [Group Messaging]. Users can now take photos using the camera to add as attachments in [Group Messaging]. The [New Message] button on the [Group Messaging] LiveArea screen has been removed. [Maps] has been improved by adding a button to the top of the screen to switch between [Search for Location] and [Search for Directions]. Users can also touch and hold a location on the map to place a flag. The use of the rear touchpad for scrolling and zooming is now supported in the [Web Browser]. A button has been added to the [Web Browser] to immediately go to the top of the page. Users can now view a history of up to 100 chat messages and information in [Party]. Software stability has been improved. A savegame exploit within Monster Hunter Freedom Unite has been patched, disallowing the usage of VHBL via the game. An issue was resolved where the game would fail to load properly if the user had received too many treasure sheets. System buttons can now be used in more applications. Turkish has been added as a system language. In [Settings], users can now set how they will be alerted depending on the type of notification. [Disconnect Wi-Fi Connection Automatically] has been added to [Network] > [Wi-Fi Settings]. Support for PlayStation Plus has been added. Users can now connect their PlayStation Network account to Twitter. [Avatar], [Panel], [Online ID], [About Me] and [My Languages] under [PlayStation Network] > [Account Information] have been moved to the new category [Profile]. [PlayStation Mobile] has been added under [System]. Screenshots are now saved in the background. Trophy synchronization is now performed in the background. A savegame exploit within Urbanix has been patched. Users can now delete screenshots or songs from PlayStation Portable games. [Content Manager] has been redesigned. Users can now transfer content to and from PlayStation Plus online storage, to and from a PS3, and to and from a PC via Wi-Fi. The rendering engine has been improved in the [Web Browser]. The [Web Browser] now uses additional GPU processing power. Tapping on a YouTube link will now open the respective video in the YouTube app. Users can now send their current [Web Browser] URL using their Twitter settings. Users can now access the [Web Browser] while in an application or game. A pointer can now be used (in conjunction with pressing L or R and tapping on the screen) to select links. has been added as an application. [Maps] can now display weather information for locations where it is available. The layout of [Near] has been revised. The activities list for Friends has been moved to the LiveArea screen. Users can now attach a comment when sending a friend request. Users can now file a [Grief Report] for inappropriate comments when sent with a friend request. TIFF, BMP, PNG, GIF, and MPO are now supported as file formats in [Group Messaging]. The PS Vita system can now display videos with 1080p resolution. Videos can now display captioning. Videos can now be played in slow motion. Users can now skip chapters in videos. Folders can now be transferred from a PS3 or PC to the PS Vita for [Photos] and [Videos]. When browsing lists in Music and Videos, titles will now scroll horizontally if they are too long. [Assign Touchscreen] and [Assign Rear Touch Pad] have been added to [Controller Settings]. [Custom] has been added to [Other Settings] > [Screen Mode]. Issue with the [Upload Automatically] setting for saved data has now been corrected. Closes exploit in UNO game. Closes exploit in Dissidia Duodecim PSP game. Users can now create folders, with a maximum of 10 icons per folder, and up to 100 icons (including folders) on the home screen. Users can now verify which PS Vita card is in their system by looking at the information bar. Users can now save home screen layouts per PS Vita card. When [Mute Automatically] is toggled in [Settings], the PS Vita will mute speakers when a headset is unplugged. Similarly, music will now pause if a headset is unplugged when the music app is used. [Use Wi-Fi in Power Save Mode] has been added to [Power Save Settings]. [Disconnect Wi-Fi Connection Automatically] has been removed. Patches an exploit in the game Apache Overkill. PlayStation Plus members can now automatically update [PlayStation Mobile] software and upload game save data using a 3G connection. Users can now upload or download game save data using a 3G network. Video support within the browser has been added (a memory card is required; some videos are not supported). Enhancements to now allow users to view HTML messages, add multiple email addresses to contacts, and search messages. Users can now send messages to multiple recipients. Still images can now be displayed in high resolution when zoomed in. Users can now add a name for the PS Vita backup data when saving to a PS3 or PC. The system version of the PS3 must be 4.40 or higher, and the Content Manager Assistant application must be updated. When reporting PlayStation Mobile content as inappropriate, users can now include details. Stabilizes the playback of certain titles. Support for PlayStation Vita PCH-2000. [Devices] has been added under [Settings]. [Bluetooth Settings] has been moved to [Devices]. The Quick Access Menu when the PS button is held has been improved. Closes exploit in Gamocracy One: Legend of Robot. Closes undisclosed exploit in Pool Hall Pro. The LiveArea for [Content Manager] and [Photos] has been updated. A [PlayStation Plus] icon has been added to the LiveArea to allow users to easily upload or download saved data. Video support within the browser has been extended. Users can now use content on a remote system before transferring it. Trophies can now be hidden. System stability has been improved. A savegame exploit within Arcade Darts and other games has been patched, disallowing the usage of VHBL via the game. [PS4 Link] has been added to the home screen. [Parental Controls] has been added to the home screen. Future system software updates can now be downloaded automatically. Portuguese (Portugal) language has been updated to reflect changes due to the Portuguese Language Orthographic Agreement of 1990. Trophies for PS4 software can now be displayed on PS Vita. Users can now transfer content to and from a PS3 with Wi-Fi on the same network, when the PS3 is version 4.50 or newer. [Group Messaging] has been renamed to [Messages]. The icon has been changed. Messages can now be sent to and from the PS4 and mobile devices running the PlayStation App. Contacts can now be synchronized from Gmail and Yahoo! Mail using CardDAV. The [Messages] icon has been changed. Users can now voice and text chat with friends on PS4. [Remote Play] has been renamed to [PS3 Remote Play]. The layout for the [Friends] application has changed. There are now four tabs available: Find Player on PSN, Friends, Friend Requests and Players Blocked. Users can now take panoramic photos with the PS Vita's camera. Panoramic photos can be viewed using the system's motion sensor. Several Game Exploits, Fieldrunners and others, that were actually undisclosed, got fixed. This disallows the usage of VHBL via these games. A savegame exploit within several games has been patched, disallowing the usage of VHBL/eCFW via the games. You will now be able to display 500 icons (bubbles) across your homescreens. You will now be able to exchange voice messages. The PS4 has the same feature so you can exchange voice messages with your friends who are playing PS4. Now features the ability to restrict PS Store access, and with a children’s age guide for each level it is easier to find the right level for your children. Information guide for TrendMicro web security. [Calendar]; create gameplay events with your friends and sync your calendar with Google Calendar. Invite your friends to share [Calendar] events by using Messages and Email. You can now check and manage Memory Card usage with [Manage Content on Memory Card] in [Content Manager]. You will now be able to search for [Music] content saved on a connected device such as a PC. You’ll be able to now sort [Video] content by size. Rotate Screen Automatically has been added to [Photos] to control tilt sensor for rotation of images. Freeform has been added to the Panoramic mode selection list. Ability to adjust Daylight Savings Time Automatically has been added to [Settings]. 30 minutes has been added in Enter Standby Mode Automatically in [Settings]. [PS4 Link] has been added to the home screen (PS Vita TV). This application can be used to connect with a PlayStation 4 system. A maximum of 4 people can now be logged in at the same time to use remote play on the PS TV system. You can now adjust the video quality for remote play on the PS TV system according to your network environment. Select (PS4 Link) > [Start] > (Options) > [Settings] > [Video Quality for Remote Play]. If remote play is not working properly, you can try selecting [Standard] to help improve the quality. Adds support for streaming in 60 frames per second while using PS4 Remote Play. Accessibility has been added to the settings menu, with options to enlarge text and increase contrast options. The Maps application has been removed. 'near' will not show Maps and other related content anymore. The online-status of friends is no longer shown with a pop-up box. Additional fixes for the "custom bubble" exploit. Fixes lag some users reported on the home screen of the system. Fixes several PSP usermode exploit. You can now adjust the setting for video resolution when using remote play on a PS Vita system. Select (PS4 Link) > [Start] > (Options) > [Settings] > [Video Quality for Remote Play] > [Resolution]. If video or audio skips during playback, try selecting [Low (360p)] to help improve the quality. You can now restrict from starting. Stryfe, _:_PuppyShark_:_, DeathMoJo and 3 others like this. Nice list, it's good to have a list like this that goes back to where it all began with the firmware. Maybe you could add the nice little headers Sony also adds in their release notes? It's nicer to read, especially in larger release notes as with for example firmware 2.00. Updated the main post with recent firmware releases. _:_PuppyShark_:_ and Yuuki like this. FW 3.30 goes live overnight. Brings themes, plus a few minor tweaks to trophies and calender. Apparently we'll get another update imminently (FW3.50) to accompany the new FW2.50 "Yukimura" update for the PS4. The key difference for the Vita being Remote Play at 60fps! Slightly disappointed that Near no longer shows maps (As I like showing off where my Vita travels to), but can you still download and share Game Goods and challenges on it, or try befriending fellow users on your travels? I don't need it myself yet, but the main thing for me is the Accessibility feature. No doubt this'll be a godsend to many! And 60 FPS sounds nice as well. Opting High in setting for starting 60fps Remote Play is nice and pretty, but i noticed that there is also an added amount of input lag. i tried the 60 FPS on both my vita and on my tablet and yeah, the lag got quite noticeable. when playing saints row 4, i moved the camera to view the wheels on my car, and it was a good second or so from when i turned the wheel on the controller to it happening on the screen. may have to drop back to the 30 fps to get the lag back in line unfortunately. Retried the 60fps after work today and it ran much smoother. Sad thing is the button remapping doesnt carry over into remote play. Redid a couple of controls in saints row and it was still the default layout vs the remapped version. Hopefully they can fix that somewhere along the line. Just wondering...Any rumors of a new firmware being released before the year ends? The new PS4 beta firmware disables Remote Play. 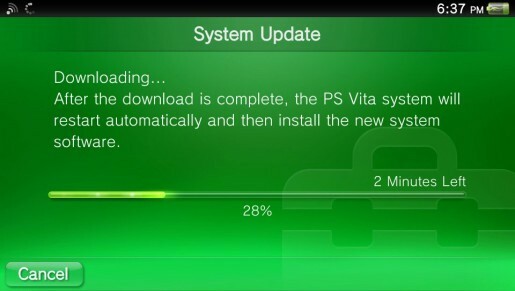 The last time that happened Vita ended up getting a new firmware update. Ok, cool. Good news...but what does "disables Remote Play" mean exactly? I know...but I just couldn't believe it. It's probably just temporary for the beta. Alright, thanks for the info. I'll be sure to keep an eye out for the OTA update.